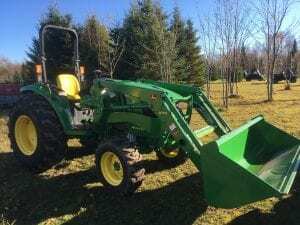 October 28, 2018 – Thanks to the John and Melissa Besse Foundation and more than 30 other families and individuals, KNSC has purchased a new John Deere tractor with a bucket and backhoe. 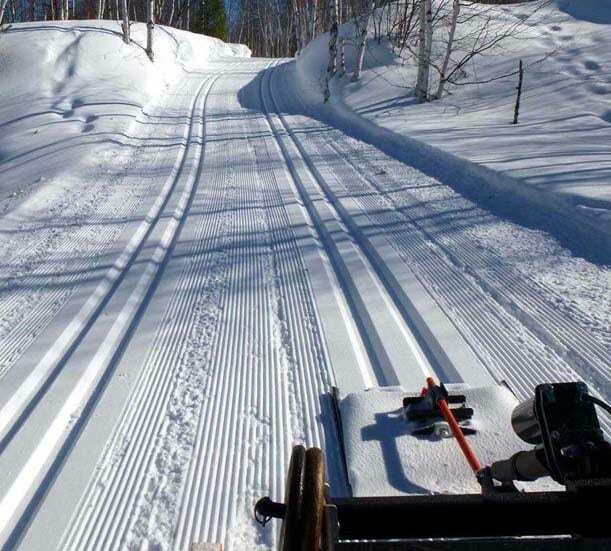 This equipment, along with the planned purchase of other attachments, will allow the club to be proactive in improving drainage and the trail surface and extend the skiing season. Your annual membership is the most important funding source to ensure the Maasto Hiihto/Churning Rapids trail system can continue to operate. Passes are the same price as last year: $75 for a family, $55 for an individual, and $5 daily. 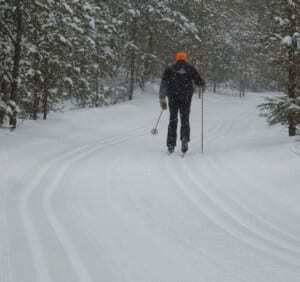 Buy yours here, or online at Keweenaw Trails. What does the KNSC do? 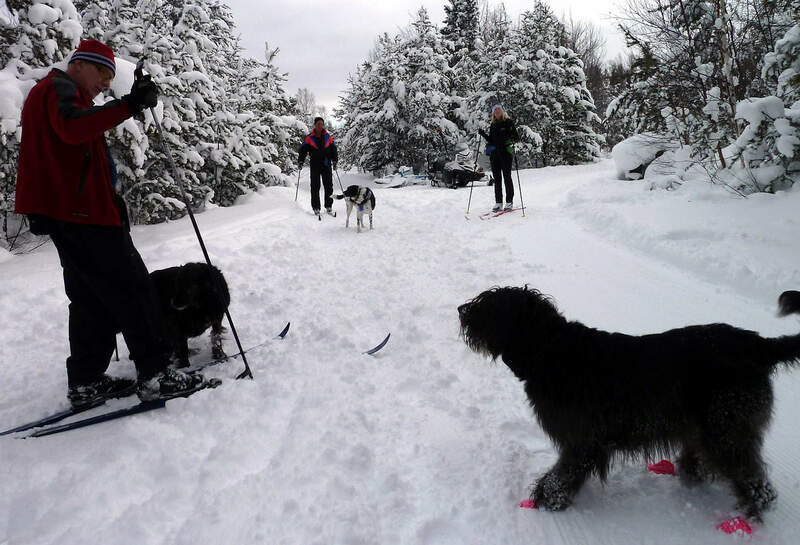 The mission of the KNSC is to promote the sport of cross-country skiing in the Keweenaw Peninsula of Michigan for both youth and adults, and provide stewardship of the Maasto Hiihto and Churning Rapids trails. 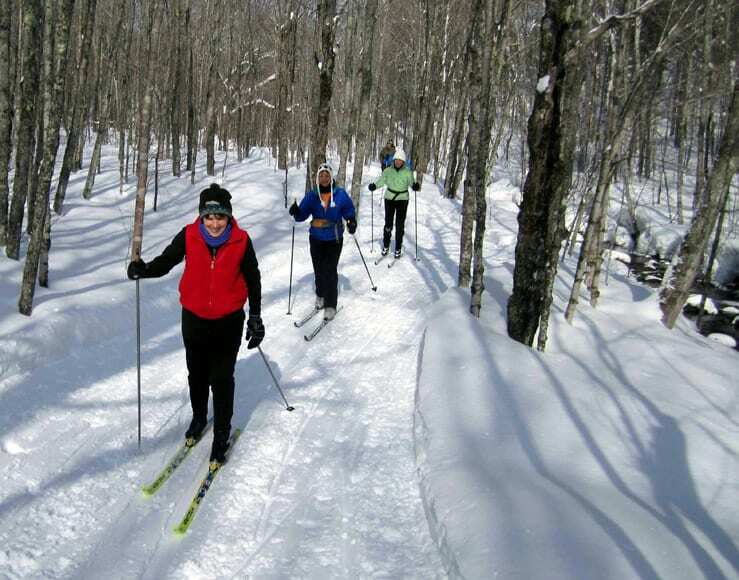 These trails offer unsurpassed skiing, hiking, and biking on pleasantly varied and scenic trails, with breathtaking vistas of gorges, meadows, forests, and the lake. 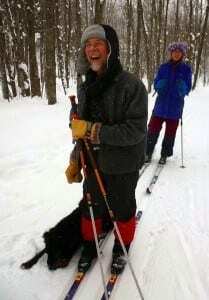 Join the Keweenaw Nordic Ski Club (KNSC) for friendship, community service, enjoyment of nature, and healthy exercise! Each winter, you may drop your receipts off in the chalet or mail them to KNSC. Looking to liven up your favorite trail wear? Bring any item you deem in need of jazzing up to Superior Monogramming, and for under $14 they will embroider the KNSC logo onto it. Superior Monogramming is at 49112 Arcadian Street in Ripley.